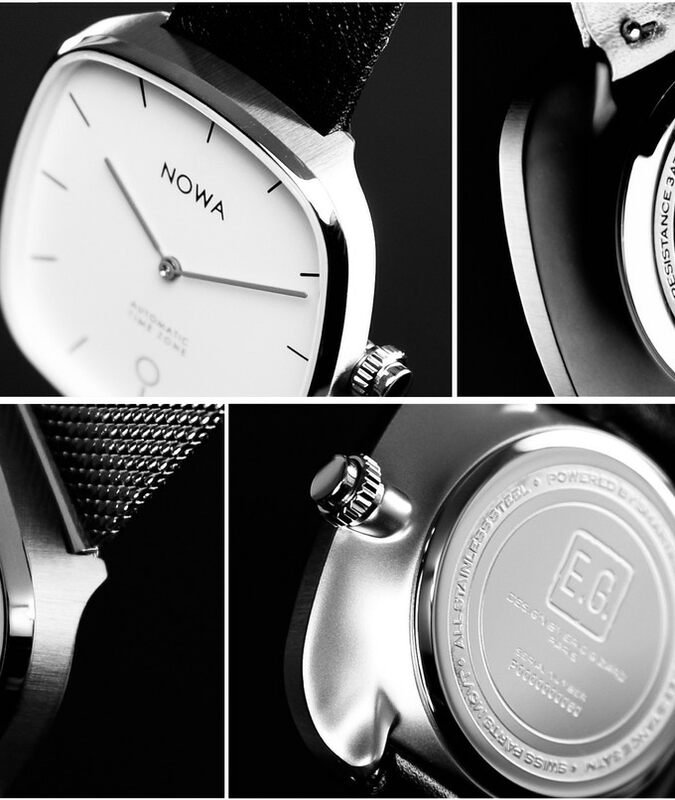 NOWA Superbe: A HYBRID SMARTWATCH FOR THE FUTURE - We all might have different requests when it comes to smartwatch design and features. That is why the French studio NOWA Paris decided to listen to the people, and create a watch that they want. 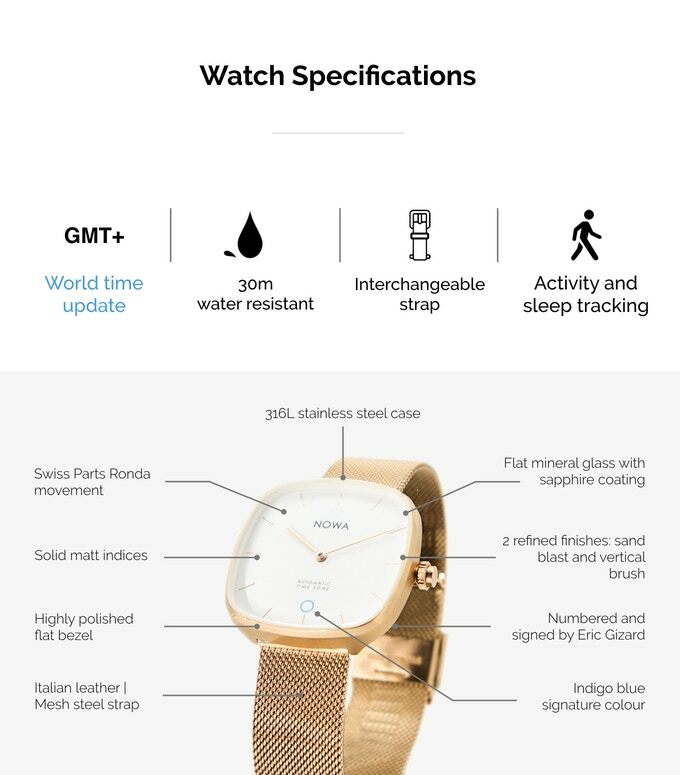 NOWA Superbe was the best-choice hybrid smartwatch by Men’s Axis remarked for its contemporary and modern design. They have started a Kickstarter Campaign to listen to customers’ desires and come up with a timepiece that will take the industry to the next level. 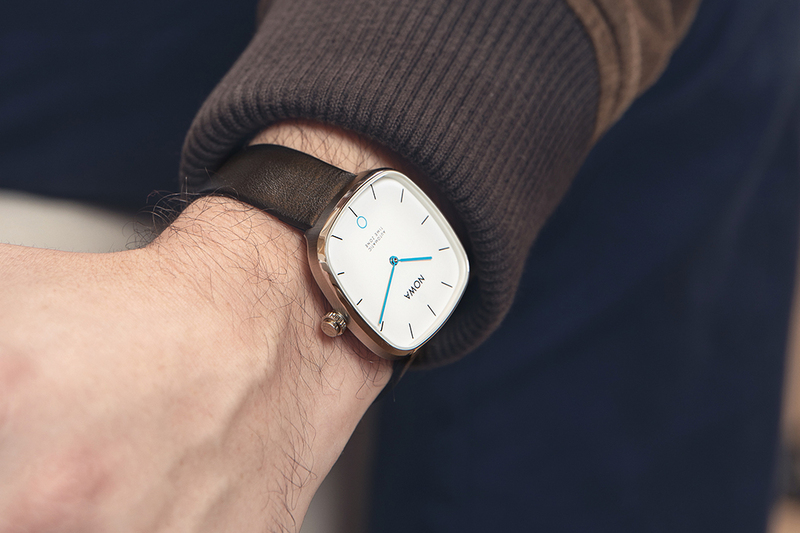 The result is a hybrid smartwatch called Nowa Superbe. The first thing you will notice right off the bat is that Nowa Superbe doesn’t need any recharging. It is an incredibly useful feature because we know how often smartwatches can require charging. This way, you are certain that the batteries won’t die and you won’t have to worry about the battery level every day. It is vital to note that the battery will last for eight months if you use all the smart features while the durability can go up to two years if you only use the unit as a watch. When it comes to design, it is a skinny smartwatch with a square face that has 36mm in diameter. The timepiece has a thickness of 10mm, and the case is made of durable and high-quality stainless steel. If you add the mineral glass that has a sapphire coating, it is clear that we are talking about a durable smartwatch. As for other details of Nowa Superbe, you can set the time on the watch by using your smartphone. And you shouldn’t worry about timekeeping because the manufacturer implemented the Swiss Partz Quarts Ronda movement. The entire timepiece with a leather strap weighs only 44 grams while the mesh increases the weight to 69 grams. The 18mm straps are interchangeable, and you can choose between several color combinations. As for the smart additions, you can expect an activity tracker. It will monitor the distance you pass and the steps you make along with how many calories you burn in the process. The data is saved on the smartwatch for seven days. You can connect the watch to your smartphone to monitor and reject the calls by pressing the corresponding button on the timepiece. The watch has a high rating of water resistance set at 30ATM. Classic Black – a black strap accompanied by a white face and a silver case. All Black – all three major components are black, including the case, face, and the leather strap. Rose gold mesh – the rose gold mesh strap is the first thing you notice while the watch also has a white face and a rose gold case. Afterwork – this model has a tan strap, white face, and a black case. Dessus Chics – a black strap and face perfectly compliment the rose gold case. Acier Mesh – the silver mesh strap is combined with a white face and silver case. What Is the Price of Nowa Superbe? The default retail price will be set at €189. However, if you hurry up, you can take advantage of the early-bird pricing deal, which enables you to pay €99 for this amazing smartwatch. The estimation is that you will receive the product in August when the manufacturing process ends. The shipping is free worldwide, but the early bird deal is only available for a limited number of units, so hurry up to place an order! 9 LIFESTYLE BLOGGER INDONESIA POPULER VERSI C2LIVE - Thank you so much for considering me and my blog as an informative blog, along with other bloggers by C2live as 9 Lifestyle Blogger Indonesia Popular. It's always a pleasure if our fellas' blogger considers us as a good blogger with informative blogger after some international blogger think that my blog is good to follow as luxury blogs to follow in 2019, this article coming from the Indonesian local blogging community. Oh God, I have been blogging almost 10 long years and I still love to write here on the blog than posting on my social media. Even not as brutal as the first time I knew the internet, I still enjoy writing so much, it is my active meditation and good for my mental health hahaha. But honestly, the world of sharing things is changing too often and too fast because of social media. People can share anything, good or bad, instantly like crazy, there's too much out there. Although blog like this is indeed social media too, however Instagram, Twitter, Facebook like Lady Gaga said is The Toilet of the Internet, so I keep writing my blog to share the whole picture of my experience. I love reading, then I love writing too. I just wish to keep sharing my love of writing, fashion, food, traveling and other life experience through this blog. I hope more and more people also can share their experience on the blog so we can learn to be a better reader, writer and educate people that we need to love to read, instead of doing something useless on social media. Make blogging great again? THE BEST PLACES TO VISIT IN SOUTHEAST ASIA - Southeast Asia is a region of the world that is growing more and more in popularity, that it isn’t just for backpackers or gap year students. But with so many stunning places, bustling cities, and beautiful islands to choose from, which do you choose to visit first? Don’t forget about the volcanic peaks, jungles, and unique wildlife out there too; there really is something for everyone. So to help you to decide where to go first, here are some of the top places to visit; have you got any of them on your bucket list. Vietnam has had some negative connotations in the past, but it is a county that is definitely worth adding to your list. Hoi An is found on the map halfway down the South China Sea coast. Unlike Ho Chi Minh and Hanoi, other major cities in the country, that are quite busy and found with motorbikes galore, Hoi An is world’s apart as it is so different and in a much more zen-like and laid back compared to other cities. The old town area is practically untouched with some cute and classic shopfronts and sinewy canals. To can tell that it is different from the other cities because cars and motorbikes are in fact banned from the town center, making it a great place to walk and cycle. There are temples, rice paddies, and some pretty Instagram-worthy beaches; it is an idyllic city in southeast Asia. The island city of Singapore is found just off Malaysia, that is a busy city and is pretty futuristic as it is one of the most modern and upcoming cities on the continent. There are great places to shop, great places to eat, as well as modern tourist attractions and historic things to see and do, it is a place that is really unique. You can get around easily in the city too, and it is a major travel hub as well. Why not look for a property near Sengkang MRT station to get really stuck into the hustle and bustle of the city? It is one of the most populated areas of the city, but modern transport links mean that it can be a good place to stay. Angkor Wat is one of the most stunning parts of Cambodia and is really known for its stunning temples that are dedicated to gods and demons that are one of the main tourist attractions that can really bring in the crowds. For a classic look of Southeast Asia, it is a part of the country that shows the pilgrimage and ritual of the country as you see the red-robed monks wandering around; you can really take in the wonder of the place. As far as Cambodia as the whole goes, Angkor Wat is only just the start of exploring the country. Bali is a place that has always been a popular choice, so as a result, it is a place that keeps renovating and changing; it seems to be one of the places that get better and better with age. It is a mixed bag, though, meaning that there is something for everyone. There are deluxe five-star hotels as well as local rentals, as well as cafés and bars that go above and beyond to recreate something marvelous. Being an island location, it also has the classic beach and jungle vibes that you would expect (but they certainly do not disappoint). The area of Nusa Dua is really a good spot for water sports, whereas Ubud is better for inland jungle experiences, as well as pool villas, showing off the heart of the island. Places like Uluwatu are better for partying, so there is plenty of choices when you plan a trip to Bali. One of the most beguiling cities in southeast Asia is Luang Prabang. It is a unique place that is crammed with spired buildings, colonial-era houses and so many UNESCO-protected temples that are so stunning. More than that, though, it has a river that is overlooking the river Khan, as well as bamboo huts, cocktail lounges, and plenty of coffee roasters. It is a place that is really different and has a modern as well as an old-school vibe. Located in the middle of the country, it is really a stunning destination that is really unique. The weather is amazing, the sky is blue, the beaches are stunning and it has some really unique wildlife, such as the bug-eyed tarsier which is the world’s smallest primate. There is also a place called the Chocolate Hills, which is a really unique geological formation of mounds that are all pyramid-shaped; talk about natural wonders of the world. There are many islands that make-up Thailand and Ko Samui is one of the largest, with absolutely breathtaking coastline and some of the world’s best beaches. There are five-star resorts aplenty to choose from, but you can still experience a lot of the real Thailand as it is all close by. You can eat food just like the locals, as well as tour fishing villages and enjoy the local experiences. There are boat trips aplenty in the area to see different islands, as well as the Ang Thong National Marine Park, which is made up of several small islands that make it an ultimate getaway. The island of Borneo is really stunning and you are surrounded by rivers, jungles, monkeys, orangutans; it is an indelibly wild place full of over-the-top wildlife and completely spirited adventures. The jungle area of the island gives way to the mountain of Mouth Kinabalu, which is the highest mountain in Southeast Asia. If you like adventure then it is a two-day walk for any avid hikers. The city of Sa Pa was established by the French in the 1920s, and it was used as a summer escape from the summer heat. It has a lot of popularity and that has grown and grown in recent years, but there is still plenty to see and do. Like many Southeast Asian countries, there are tiered rice terraces that you can hike to, as well as walks to the Muong Hoa valley, or a chance to hike down the mountain of Mount Fan Si Pan. Located in the north of Thailand, it is really different from other parts of the country. Bangkok is known for having a little bit of an attitude, and the south can be a little hedonistic. Chiang Mai is much more laid back than both of those places and it is a great place to visit for a chilled and relaxed vacation. There are yoga centers, chakra spas, and spiritual centers, so can be a great choice if this kind of thing is what you are into. It is all about zen and chilling out, though. There are ancient and primal villages to visit, as well as habitats for elephants, sanctuaries, and places to hike and swim. It is a place that is a little off the beaten track too, so a must for those of you wanting to get away from the hustle and bustle of it all. There are so many great places to see and visit in southeast Asia, and these are only a small number to choose from. But they are great choices, you just need to pick one that will work for you and that suits your travel needs. NEW YOUTUBE SERIES FROM DW EUROMAXX "HOW TO BAUHAUS" - In 1919 the German design school ‘Bauhaus’ opened its doors to students, introducing the world to the iconic style of the same name. Bauhaus is modern, stylistic, minimalistic, and it may have been 100 years since the iconic school opened (and 86 years since it closed) but its influence is still very much present today. What makes Bauhaus so timeless is its simplistic style, which also makes it accessible for people new to design. To celebrate Bauhaus and introduce it to those who may not have thought about utilizing it, German YouTube channel DW Euromaxx has created an entire series dedicated to the style. 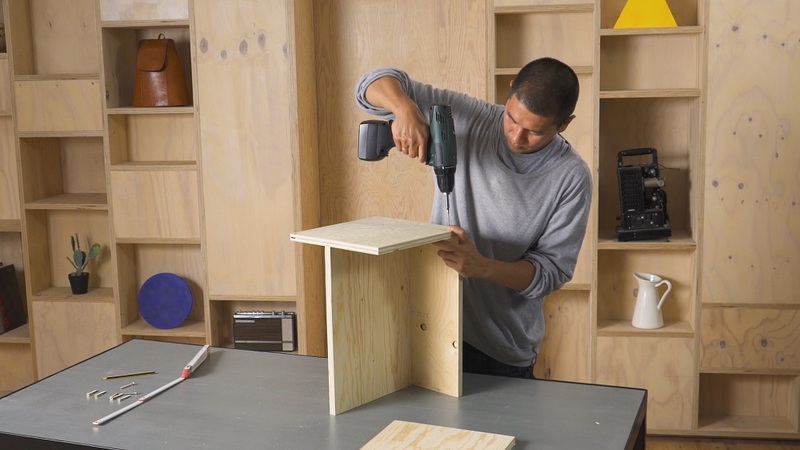 The series, titled How to Bauhaus, is hosted by architect Van Bo Le-Mentzel, and follows a simple step-by-step process, easy to recreate even for novices, so people can bring a little Bauhaus into their own homes. In one episode Van Bo creates a lamp out of a single metal rod and other items you may have collecting dust around your home. With just a few simple steps he is able to craft a stunning lamp, which despite the 100-year-old Bauhaus influence, doesn’t look out of place in a modern home. If wiring a lamp may seem a little daunting, why not try Van Bo’s simple wooden stool design, made out of just a few pieces of wood, some screws, and some bright colored paint. This one takes just a few steps, but the final product is versatile and looks sleek and stylish. The series is a love letter to Bauhaus, with three episodes currently available on the DW Euromaxx YouTube channel and more due in the coming weeks. 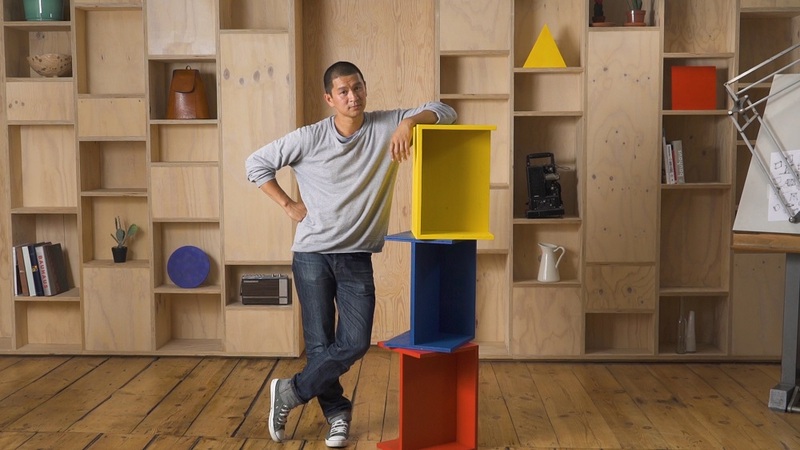 It introduces Bauhaus to those new to design, allowing viewers to build furniture and appliances which may not take as much planning or skill as you might expect. The original Bauhaus school may have closed in 1933, but DW Euromaxx and Van Bo are ensuring that anyone can introduce it into their homes, Bauhaus style. Check out and subscribe to the DW Euromaxx YouTube channel for more of their amazing videos. LUXURY CAPITAL CITIES: CENTRAL JAKARTA EDITION - Tourists and residents of Indonesia alike tend to flock to places like Seminyak for a luxury break. 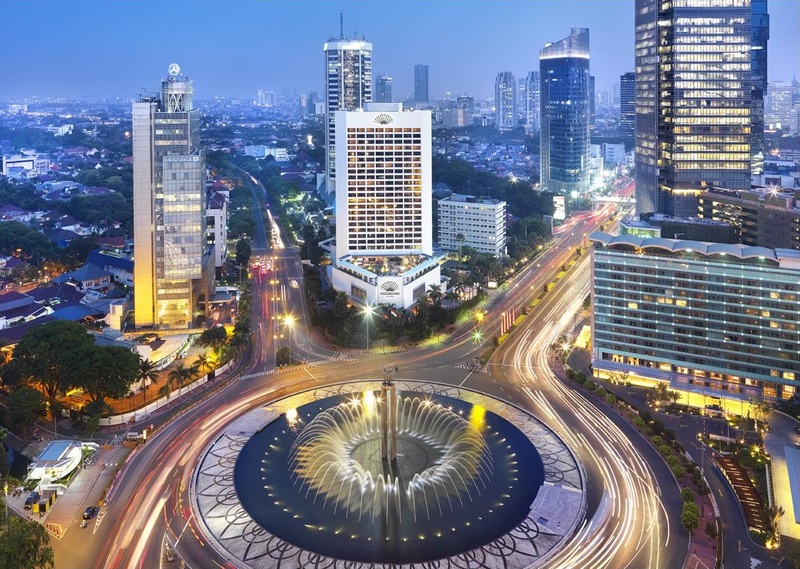 However, what many people forget is that the capital Jakarta is also an affluent and luxurious place. In fact, there are some fabulous, high-end places to stay, restaurant to visits, and things to do in the capital. Those coming from outside of the country will usually fly into Soekarno-Hatta International Airport (SHIA) located in Tangerang. Of course, if you are looking for the most high-end experience, you will want to eschew economy class and bump yourself up to first, or even business class. Luckily, some of the biggest hitters in airlines fly to SHIA, including Emirates, and Etihad so you can expect a flight with all the pampering you deserve. There is even the possibility of catching a direct flight, depending on where you live, as airline like Garuda offers non-stop flights from London. Of course, if you are traveling from within Indonesia, then you have a myriad of options to choose from. These include driving yourself, catching the train, or even hiring a driver and air-conditioned car. Well, you’ll want to get that high end feel as soon as possible, won't you? Once you have your journey sorted you can start to think about where to stay in the city. Happily, you won't be short on options, and there are some really stunning hotels on the higher end of the scale. One such hotel is the Mandarin Oriental Jakarta, part of the world-famous chain. Here you can expect only the most exceptional service, along with the opulent, yet modern decor. There are even over 20 suites which you can pick from for your stay. Of course, hotel life doesn't suit everyone, and some folks prefer the privacy that having their own vacation property provides them with. Luckily, it pretty easy to find high-quality places in central Jakarta, as Sewa Rumah are plentiful. Although the more you can pay a year, the higher quality and facilities you can expect. Of course, buying your own place means that you can be surrounded by all personal items and home comfort you desire when on vacation that you wouldn't get at a hotel. It will, no doubt, encourage you to spend more time in this glorious city a well, from weekends to entire vacations throughout the year. Once you know where you are staying, and have got settled, you can start exploring all the delights that Jakarta city has to offer. Obviously, as you would expect from a thriving capital city one, of the most impressive things to experience is the excellent quality and selection of food that is on offer. One place, in particular, that is worth a visit is Plataran Dharmawangsa where you can sample some delicious Indonesian food. The traditional style decor of the restaurant itself is fabulous as well, and the garden is the perfect space to cool off in between courses. You can even expect live music and a Bloody Mary bar on special occasions, making this eatery one well worth trying out. Although, if you are a genuinely looking to push to the boat out and go for a once in a lifetime experience then Namaaz is your best bet. This is because they serve Indonesian food here, but in the molecular gastronomy style. Something that makes dining not only tasty but fun too. Although, you won't want to spend all you trim eating when in Jakarta even if the idea of it is pretty tempting! In fact, there is a myriad of places that are at the higher end of the spectrum which is also worth visiting. In particular, make sure that you go to the Grand Indonesia mall and treat yourself to a little retail therapy. In fact, apart from all the usual array of shops you can expect, there are also designer brands like Calvin Klein and Coach on offer too. Then once you have exhausted yourself and your credit card through shopping, why not head over to SPA Intercontinental for a relaxing and revitalizing massage? Then, after a short rest, you will be ready to continue exploring and experiencing the luxurious and fascinating city that is Jakarta. There's nothing compared to give our peers on this lifestyle industry both local or international some insights, inspirations, and our genuine experiences as their benchmark to create more high-quality contents. As Indonesia and Asia in general, my home base is also home for promising and potential luxury market and destination, which is also a trendsetter for the upcoming luxury travel experience that can inspire the rest of the world. I have been asked for an interview (which is one of the best part being a blogger) about the trend, experience, and inspiration. I always have time for that, please do not hesitate to contact me through my email deluxshionist@gmail.com, and I would love to answer your questions whether it's about travel, fashion or lifestyle in the general.